We interview Nicole Taylor of Hot Grease, we interview a few FSC Swappers and we talk Nutritional Yeast! This month’s episode is all about CSAs– community supported agriculture! We tell you what CSA is and why it’s awesome for both farmers and consumers. If you’re interested in supporting local farmers and the local food system, this show is for you. Christine runs through the Whys, Hows, Whats and Whens of CSA Programs and also interviews many farmers with CSA Programs. This month’s podcast highlights a few of the creative, hardworking people who have made food not only their personal passion, but the basis for their professinal lives as well. We’re calling them food entrepreneurs. We spoke with two such food entrepreneurs to learn how they turned their passions for local foods into thriving businesses. This episode of the FSC Podcast, we are diving into the world of urban farming. That’s right, farming in cities. Not the typical, sprawling pastures in the country or the iconic red barn, but we’re talking to people and organizations who are farming in the city. They are increasing access to fresh food, forging a stronger connection with the land and using urban farming as an educational and job training tool for youth. We’ve chatted with a lot of people who are growing local, even on small city plots, and proving that you don’t need a homestead in the country to take control of your food. Raising animals for food. It’s a tricky subject, but we are tackling it with gusto in this month’s podcast. We’ve talked about growing vegetables, joining CSAs to pay someone else to grow vegetables and we’ve even talked a little bit about backyard chickens. Now we are bringing you an extended interview with a local meat farmer who knows exactly what it takes to raise farm animals sustainably, humanely and compassionately. In honor of the late summer bounty, this episode focuses on food preservation. That means canning, freezing, dehydrating or otherwise making your food last beyond the growing season. Our food swaps are always filled with jars of home preserved bounty, from pickled vegetables to smooth jam and jellies. These jars serve as a constant reminder that there are ways to savor summer all throughout the year. We explore the WHYs of preservation- most of us aren’t out on the prairie trying to put up enough food to last through a harsh winter. We can buy most of what we need at the grocery store, year-round. So then why do we can? Why do we take the time to put up our food? It occurred to us that while we’ve discussed all sorts of ways to access fresh, local vegetables and fruit, we’ve been missing a key way that so many people buy their food… farmers markets! So we are bringing you the scoop on farmers markets this episode- how they’re organized and structured, why farmers and producers choose to sell there and how you can have the best possible shopping experience. In this episode, we talk to Alana Chernila, the author of The Homemade Pantry, about her journey to becoming a blogger and cookbook author while holding other jobs and raising two daughters with her husband. She talks about the process of writing a book and all of the work that goes into making such a beautiful, useful kitchen guide. We also talk to FSC Book Club members on how & why they are creating a homemade pantry for themselves & their families. With the holidays right around the corner, we thought we’d bring you a special storytelling episode of the From Scratch Club podcast. We talked with a few of our blog readers, podcast listeners, FSC Swappers and other friends and asked them to share holiday tales from their kitchen. The good, the bad & the ugly. Take a listen to this holiday special and gear up for another season of holiday cooking debauchery. Just remember- a good sense of humor and a bit of flexibility will get you through almost any situation the holidays throw at you! Happy New Year, dear listeners! In this episode, we talk about grassroots movements and small acts of food justice. For this episode, Christina talked with one of the founders of the Schenectady Greenmarket and Susan Fowler of The Friendship Garden. Marisa McClellan author of Food in Jars: Preserving in Small Batches Year-Roundand the blog of the same name. FSC Food Swappers: Kelly, Margaret, Ona, Kate & Joey, Vickie, Emily, Gina, Morgan, Cynthia, Becky H, Kathryn, Grazia, Nicole-Lynn, Erin, Brighid and Monica! Matthew Schuler and Brian Bender of the Capital District Community Gardens’ The Produce Project and two Produce Project students, Devin Chandler and Stephen Cochran. Saratoga Farmers Market shoppers: Jen, Anna, Meg, Pam and Sharon. WHAT: Every month we will bring you interviews and content based on a specific topic such as: Community Supported Agriculture Programs, Food Entrepreneurs, Urban Farming and more! 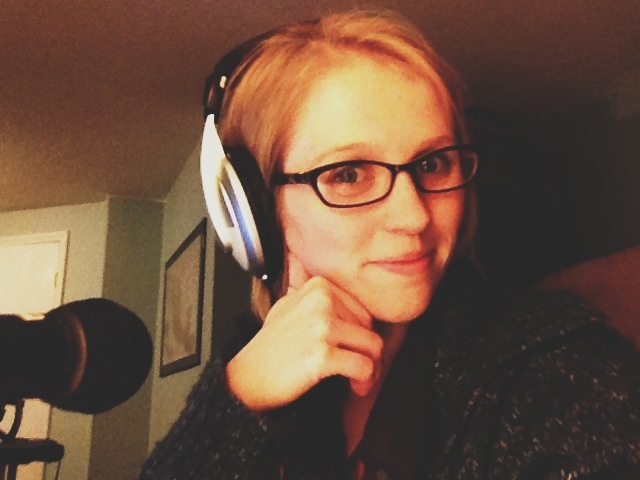 HOW: It is a podcast that you can either listen on this blog OR subscribe in Itunes and you will automatically receive the podcast in your Itunes program when the program uploads new content. SHOW NOTES: To make it easier on our listeners, we have a separate blog for all of our show notes. The show notes are links to the people we interview, businesses or non-profits we mention or topics we cover. Yes, each month we will have an announcement blog post on this very blog with the link to subscribe or to listen but if you want to go back and find a link to a farm from past episodes, that blog will be most helpful and fast to find what you are looking for. and finally, WHY: We would like to educate & entertain a growing audience of individuals interested in learning more about home cooking, food policy and local foods & farming issues. We feel that a podcast is an additional platform where by we can reach a whole new audience and hopefully interest our already devoted & supportive blog readership. 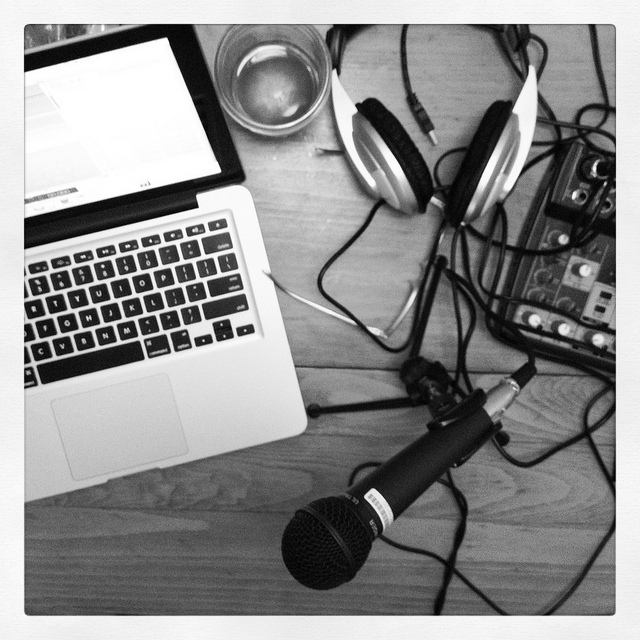 Leap Day 2012, From Scratch Club took the leap (heh) into the wonderful world of podcasting! 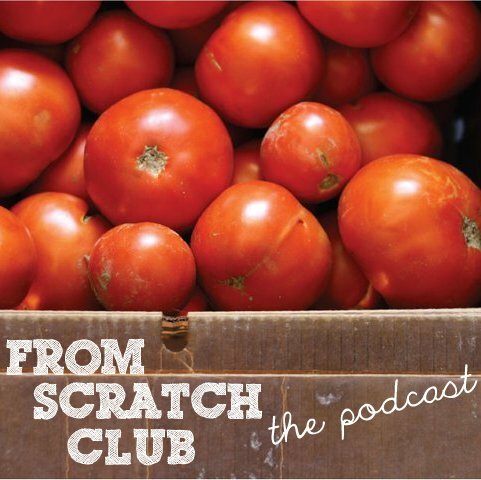 That’s right: you can now read the blog, plan for an FSC Swappers food swap and mark your calendars to visit us at our next community outreach event all while listening to the From Scratch Club podcast! Let’s back up, a few months ago Christine & I renewed the dream and decided to take the plunge. 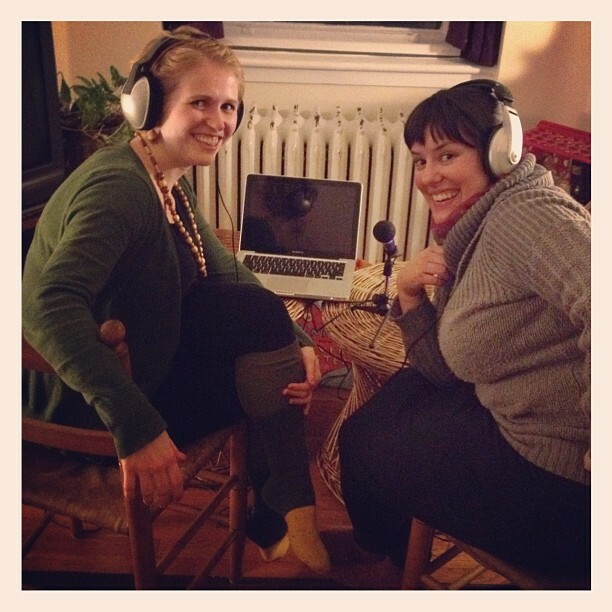 We planned and brainstormed and fretted and drank hot toddies, hoping that we weren’t completely crazy for thinking maybe, just maybe, we could whisper our sweet nothings about food and farming and swapping in your ears. The entire experience of recording and editing was brand new to us but we are getting the hang of it. We are obsessed with meeting and interviewing as many peeps as we can so that we can inspire, educate, share, giggle and chit chat with you, with our ever-growing FSC community. Our hearts are bursting with nervousness and excitement. 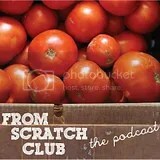 We are thrilled to present to you the From Scratch Club Podcast!